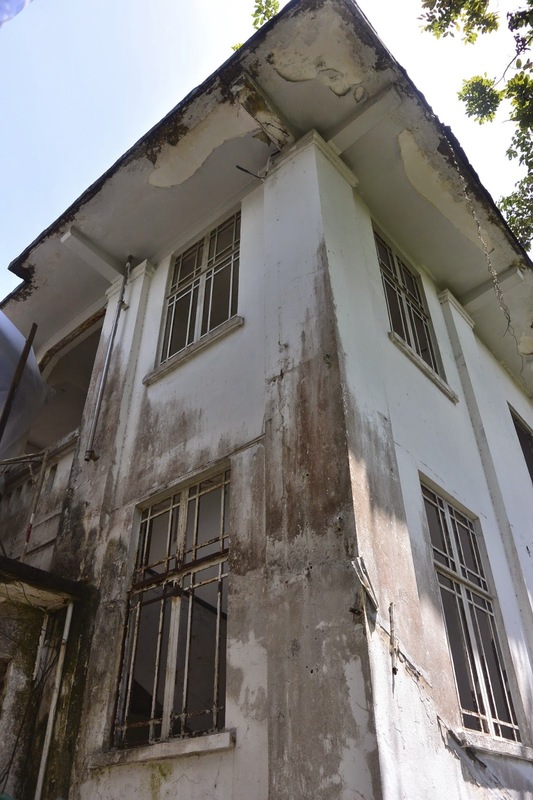 This substantial, classic colonial style building on top of Barrack Hill, alongside Netheravon Road and Halton Road, sits among the old forces buildings that once made up Fortress Changi. Built by the British in the late 1920s as the main defense, they wrongly believed that any attack would come from this area. The hospital sitting on the hill was originally built as the command HQ and Barracks but it became RAF hospital in 1935. Post 1935 the Royal Engineers used one of the blocks as a weekly cinema. 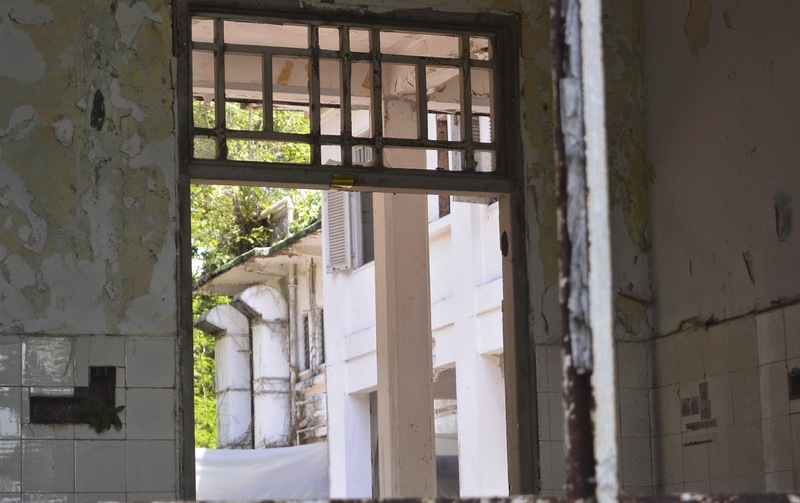 The hospital covered 3 blocks, 24,37 and 161 and looked after the servicemen from Kitchener Barracks, Roberts Barracks and Selarang Camp. 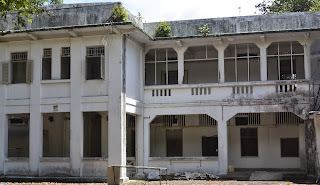 Between 1942-5 during the Occupation the hospital, along with the other buildings, was taken over by the Japanese and its believed the Kempeitai used it to torture many prisoners. In total there were over 50,000 POWs kept at Changi. 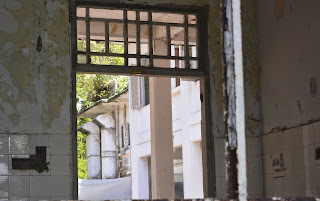 Due to this part in its history the building is supposed to be haunted, just search Old Changi Hospital and you find link after link on its hauntings!! 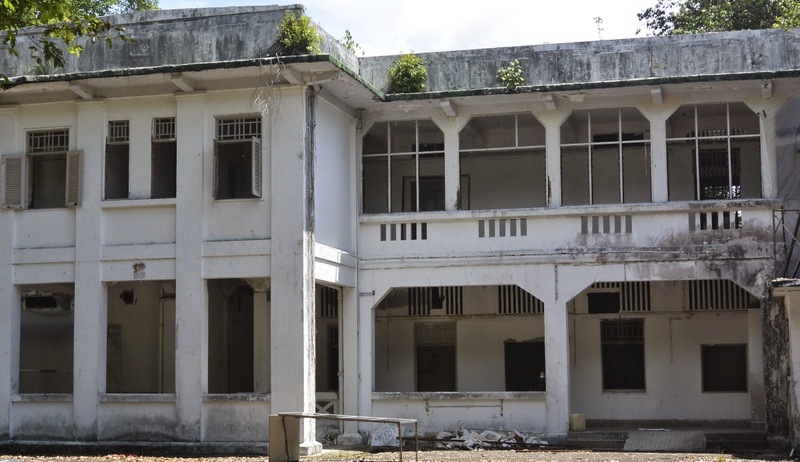 During the Occupation, with the large influx of POWs, the hospital wasn't large enough so it was moved temporarily to the larger Roberts Barracks, further South East, before returning to its original buildings after the war. 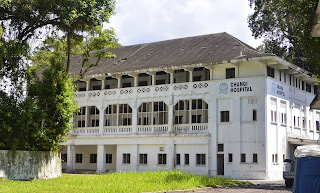 It continued after the war, as before until 1971 when, with the reduction and finally withdrawal of the British military, it became known as the ANZUK Hospital as it was taken over and served the commonwealth serviceman from Australia, New Zealand and UK. 1976 it merged with the Changi chalet hospital which looked after civilians. With this merger new premises were found at Simei and it was run by the Ministry of Health (MOH). This is when it finally became known as Changi Hospital. It finally closed on 15 Dec 1997 when it merged with the hospital at Toa Payoh and has been left empty ever since. 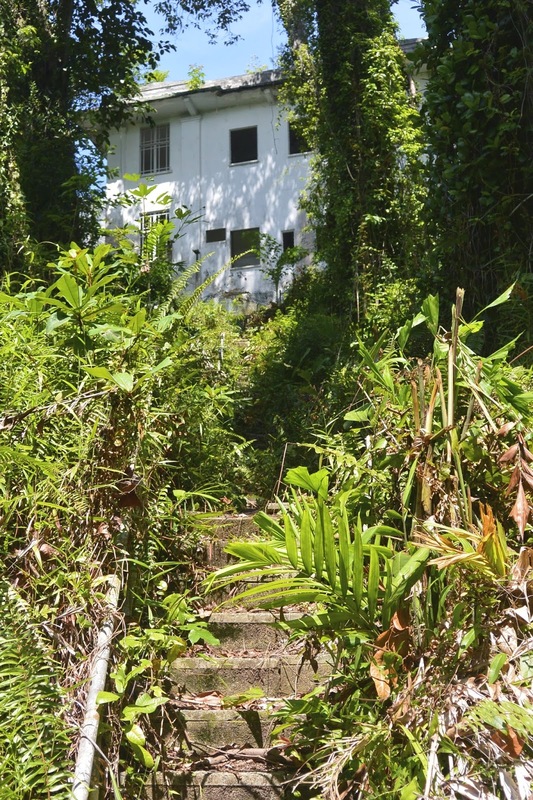 2006 the Singapore Land Authority (SLA) put the site up for sale/lease but come 2010 it had fell through and ownership was passed to the state. Now derelict and in disrepair the building has become somewhat of a legend. 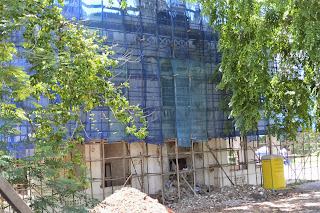 As we wander the roads around the building we can see renovation of the other buildings nearby has, and is, taking place. Along Halton road blocks 33 and 42 have been turned into plush restaurant Raintr33 and further up the hill blocks 36 and 35 belong to the French bank BNP Paribas. 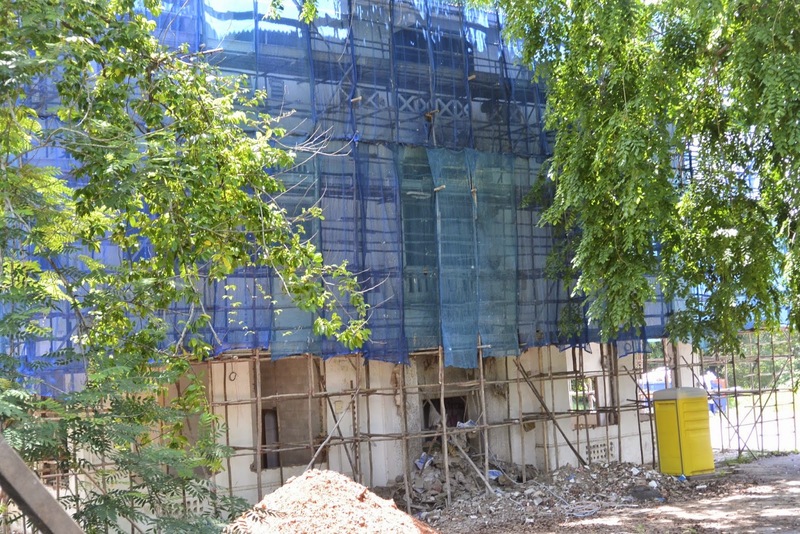 Block 49 is currently in wraps and is undergoing its restoration, whilst sitting next to the hospital on the brow of the hill block 36 remains derelict. The whole area is fenced off (although there are gaps within this) with no entry signs, security cameras apparently watching over the buildings. 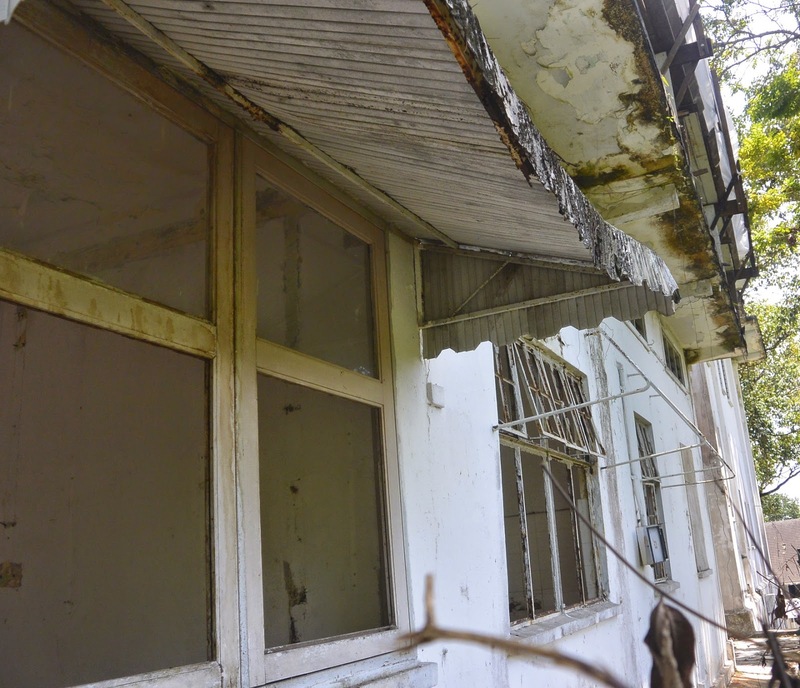 The main gates at the top of the hill are locked with recent signs warning of asbestos in the buildings and states awaiting removal. 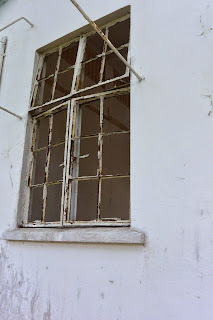 Indeed as we were leaving workmen in a lorry arrived with all the asbestos removal paraphernalia, good too see things appear to be moving forward, although I expect Singaporean ghost hunters may disagree with me!